When Nic and I first met, I had a Townhouse. He moved in and we were married shortly thereafter. Four apartments and two children later, we eventually moved into our RV. After 18 months on the road, we have come back to settle into a rental house. This is our first house together and we couldn’t be more excited! My Mom is sad that she’s currently living out of state and can’t be here to see it in person, so this post is for her. A tour of our new house for my Mama. I’m standing to the Left of the Kitchen for this pic. There’s 7 South facing windows (to my left), so there’s lots of natural sunlight. I love that. We brought the IKEA cabinets and the homemade by Daddy bunk beds from the RV. The 8 foot tall tree I made MHG when SHE was 18 months old. That tree sure has made its rounds! Their ceiling is at an angle, and at it’s highest, it’s like 16 feet tall. Same in the Living Room. The small wall directly to the Right of the Girls’ Room. I didn’t keep many picture frames. But what I had still worked perfectly. …aka really big room that is really just a huge Living Room awkwardly laid out. The view out those 2 windows in our Living Room is pretty awesome. Nothing but our backyard and a snow covered Forest. I have been known to sit in the chair by those windows (for hours) staring out at the trees. I love having a Fireplace again…even if it is only a Gas Fireplace. To the Right of the Sofa, in the pics above, is a a wall with a mirror on it & a cutout on top. I put my timer fake candles up there. It looks cool at night…and it prevents me from stubbing my toe on the way to check on the girls. …aka the other side of the “Great Room”. Directly opposite the Kitchen. All of the windows in the house have a crystal placed in them to keep the energy of our home flowing freely. The cats REALLY enjoy hanging out on the cut out above the bar top. Oh that’s right…I can just get to everything super easy now. Hahaha! I have since installed mug hooks under those cabinets for our 9 mugs. The fridge is covered in magnets from all the places we’ve been. It’s a tease. The opposite end of the house is our bedroom and bathroom. Prepare to be underwhelmed. 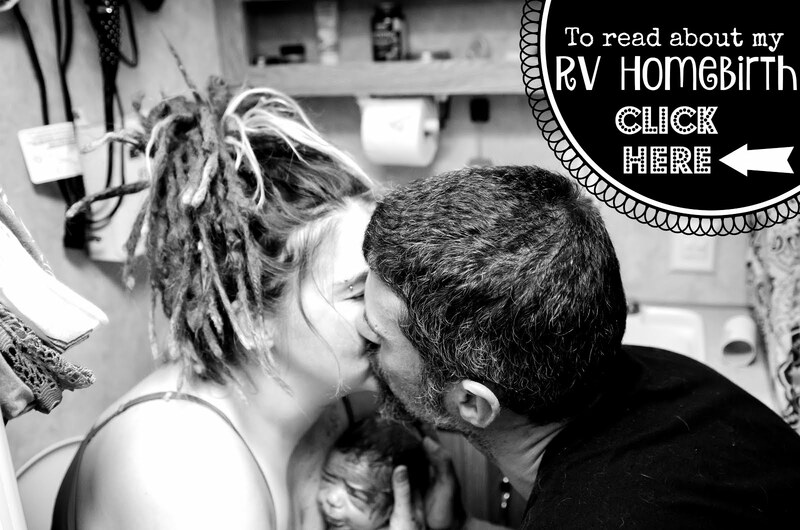 My RV bedroom was WAY cozier…and WAY more Boho’d out…but it’s all good. My Essential Oils wall…complete with shelf for my Young Living Essential Oils Diffuser. The girls can’t believe that I really DO know how to play the drums, lol! Yes. That is MY drumset…I have missed it SOOOOO much. It’s nice being able to leave my keyboard out 24/7 now. I’m far more inclined to play it that way. Ninja Cat…Hiding Somewhere…and the Not-So-Ninja Cat…errr…chillin’ in the sink. Cuz they’re Cats. Cats are weird. Cuz sharing with each other is better than sharing with the girls too, lol! I have been waiting 18 months for this moment…showers don’t even come close to a hot, candlelit, essential-oil-filled bath. I have a large separate shower across from the bathtub as well…I just didn’t think that was photo worthy, lol. Cuz that deserves its own title…especially after cramming all my clothes into a skinny cabinet for nearly 2 years. This is the view out my bedroom window…well, technically they’re sliding glass doors. I get to wake up to this sight. Every. Single. Morning. It sure beats looking out the window to a bunch of RV’s every morning, haha. Cuz it’s even better than the inside…especially if you love the Outdoors as much as we do. The house is on 1 acre. It’s a LOT of property compared to what we’re used to. The enclosed side porch off the Kitchen. It walks through a gate that connects to the wrap-around porch. A FABULOUS deck for throwing friends and family parties! Now, I just need the snow to leave, haha! A great spot for a fire pit…provided there aren’t any fire restrictions…and there usually are. Steps running up and behind the garage. Looking past the garage at our driveway from hell and our parking lot, lol. We can easily park about 5 trucks in our driveway…and another 2 up the driveway…and yet, we can’t get our RV up here. There are too many hard angles and turns to get from the cul de sac onto the road that our driveway connects to. The whole backside of the house…standing at the farthest point back in our yard. The deer roam around everywhere. The girls watch them endlessly…and Mojo wants to kill them all. Bahahahahaha. My little tough guy. I LOVE that we are back in the Mountains again. My heart will always belong to them. It’s pretty nice without the Snow, too. Thank you for waiting patiently til I could finally give you the tour!